After one listen, you’ll get it. 30 by 2’s is a song and activity that helps children associate numbers with the actual quantities while having some fun. Being able to count by twos is a life skill. 30 by 2’s establishes the groundwork for a child’s ability to correctly recognize numbers, identify amounts, and connect them with images of the amounts in their heads. You can simply have your class sing along while following images on your screen. 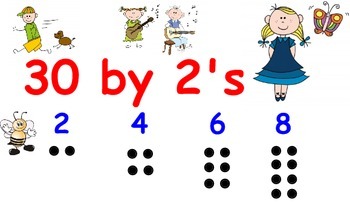 More advanced learners can to stop the song in sections and do actual counting. The ultimate is when a class works with manipulatives, such as pennies, and counts and groups the quantities along with the song. The product comes with the song in Mp3 format, printable lyrics, a Powerpoint, and a Notebook file for Smartboards. 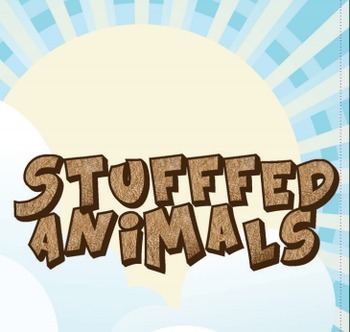 The song 30 by 2’s comes from my children’s music group called Stuffed Animals. 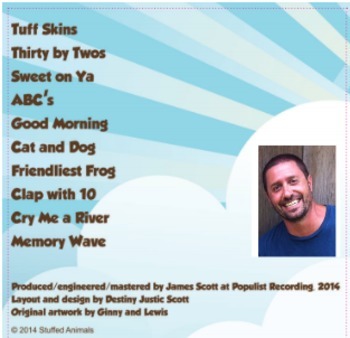 The album includes other songs for development, learning, and fun including a fast and challenging version of the ABC’s, additional counting with Clap with 10, and the sound, image, and word recognition of Friendliest Frog. 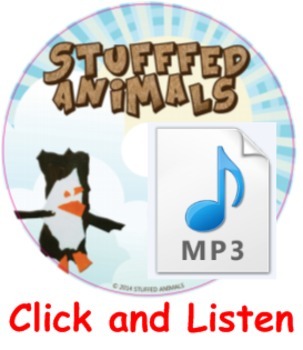 Plus, multiple other songs that enrich children’s social and emotional learning. If the song and activity help you out, give me a rating!